On their first ever visit to Australia, Teatro Alla Scala Ballet Company couldn’t have had a better showpiece than Rudolf Nureyev’s Don Quixote, long a favourite with Australian audiences ... Teatro Alla Scala Ballet Company are an exciting and dynamic company and Don Quixote is an exciting and dynamic production. Bravo to QPAC and their International Series which only keeps getting better and better. ★★★★ Befitting of La Scala’s 240-year history, this was always going to be a night delivered with a bang: 109 members of the Milanese company have travelled to Australia, bringing with them both the set and costumes. What it is to have seen the ballet company of La Scala, Milan, on its first visit to Australia. After a week of successful Don Quixote performances, the company presented Giselle, which drew curtain calls lasting about ten minutes, and rightly so. The dancers are most attractive, their personalities shine, they are good actors who respond to each other naturally and convincingly, and they dance with a rhapsodic aura of freedom. The opening night cast was dazzling, heartbreaking, and authentic in every measure. Nicoletta Manni is a Kitri to savour ... there is steel in Manni’s arabesque, but it is her expansive upper body and highly articulate arms that frame the action. The Milanese have a rare musicality that befits their home in one of the world’s top opera houses. In his Don Quixote, Nureyev reminds us that life is sweet and fun. This is a philosophy that Italy’s top ballet company not only understands but also embraces. 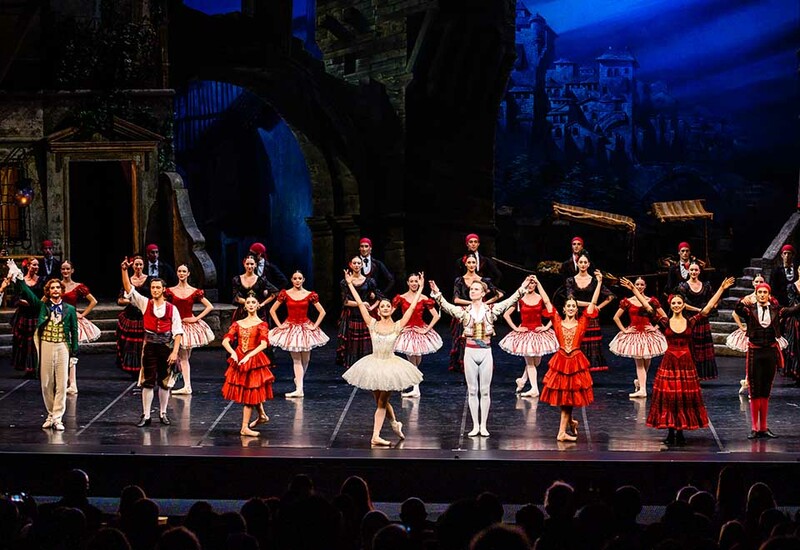 Italy’s celebrated Teatro alla Scala Ballet Company (La Scala Ballet) performed for the first time ever in Australia – and only in Brisbane – as part of the QPAC International Series. With their 110-strong company (including more than 75 dancers), La Scala Ballet performed two iconic productions, both much-loved and stunning works of the classical repertoire – Rudolf Nureyev’s festive Don Quixote, and the haunting Giselle.